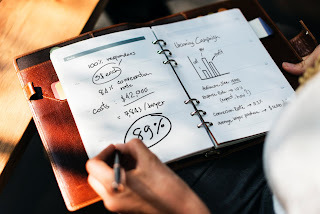 In this post, I will try as much as possible to summarize and cover the major areas of market research for a business startup. Market research is a business concept used to identify and gather information about target customers or market where a product is most likely to have a good sale. That really depends on the type of startup, but firstly, the most critical aspect of the market research is for you as a business owner to figure out the target audience for your product or service. On a normal circumstance, you would want to filter your customers using non-generic parameters such as age, gender, income, occupation and what have you. During the process of filtering your audience, you should be creative and try to figure out what makes your business unique and spectacular. Keeping in mind that a market research isn't complete without an understanding of how people feel about your market. Identify the end users as well as the economic buyers. You must go out and engage with potential buyers to better understand them. With this understanding, you will be able to know what makes your business unique or what the buyers are expecting from you which other competitors do not have. While engaging with the potential customers, your interaction must consist of open-ended questions like... "What do you like? ", "What do you think about this new product?" And so on. However, you should be cautious of the kind of questions you ask. Some products are "price competitive" in nature while others are based on "high tech innovations". With the former, you can get insights through surveys and questionnaire as a market research tool but for the latter, you have to get into their head and appropriate their needs before they even develop those needs. An example of the latter is the Apple iPhone and a good example of the former is Pepsi and Coke. You might have a valuable offering but the context of your market might kill your offering, therefore, you ought to do a thorough analysis of your market context; consumer trends, pricing, competition, government policy, and activities. Facebook is one of the most underrated web platforms for conducting a market research, only the wise market researchers make use of the 2billion+ active users platform to their advantage. So what you need to do when using Facebook as a tool for market research is to firstly, create a landing (web) page. This landing page should have a heading and paragraph describing your product, including a video will yield more results, and also an email sign up form for the waitlist. Now you would want to spend a few bucks for Facebook ads promotion to a variety of audiences, promoting 2 or more different value props for your business. If you want to know how to effectively carry out a good Facebook ads campaign click here to read more.